And while this may not be 100% true for every disease in every person, more and more research shows that our gut has a bigger role in many diseases than we used to think. And we’re not just talking about heartburn, constipation, diarrhoea, IBS, IBD, etc. We’re talking about all kinds of issues like allergies, pain, mood disorders, and nutrient deficiencies. Our gut’s main role is as a barrier. To let things in that should get in, and to keep things out that should stay out. Think of “absorption” of nutrients as things we want to let in; and “elimination” of waste and toxins as things we want to pass right through and out. If you have leaky gut and would like to heal it once and for all, contact Kate for a free 15 minute consultation call. 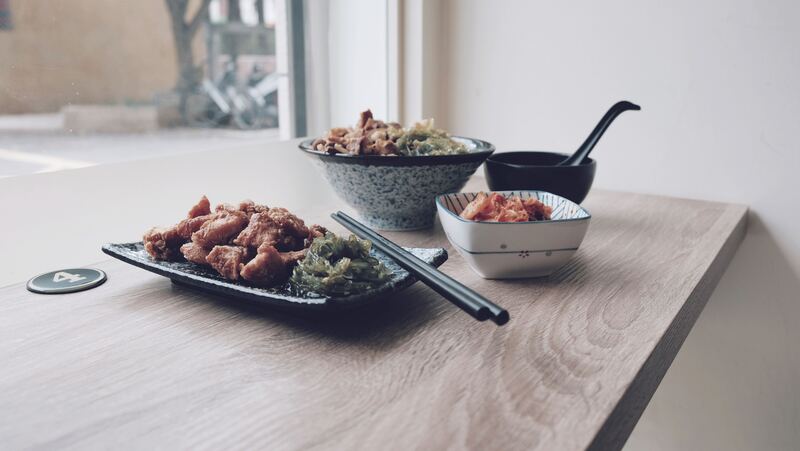 By eating nutrient-dense foods, we allow ample macro- and micro-nutrients into our gut to maximise the chance for absorption. These nutrients help our bodies build and repair our gut, and every other body part as well. Some of the most nutrient-dense foods include dark leafy greens, colourful fruits and veggies, and fish. Close the jar and let it sit at room temperature for 1-4 days. The longer it sits, the more the flavour will develop. Feel free to open and taste. Curcumin is an antioxidant compound. It can neutralise free radicals before they wreak havoc on our biomolecules. Curcumin also boosts our natural antioxidant enzymes. Reduces growth of cancer cells by reducing angiogenesis (growth of new blood vessels in tumors), metastasis (the spread of cancer), and even contributes to the death of cancer cells. Curcumin supplements can be great for your health, but they’re not for everyone. Check the label or speak with your practitioner before taking it. 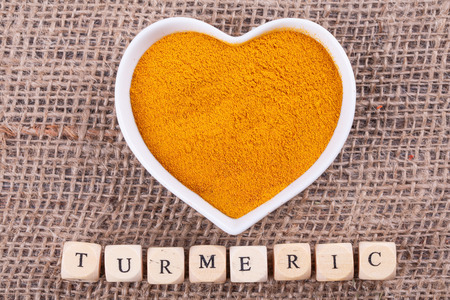 I want to know: What’s your favourite turmeric recipe? 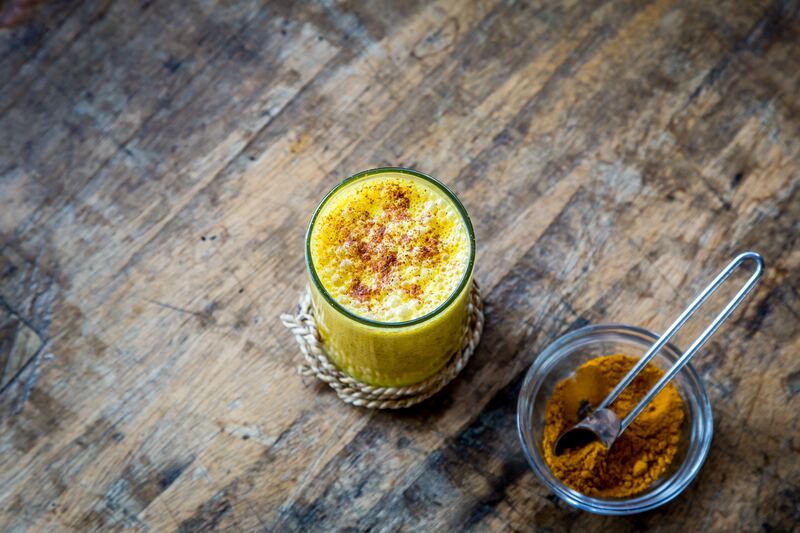 Try my golden milk recipe and let me know in the comments below. Add all ingredients to a small saucepan. Stir to combine. Warm over medium heat, stirring frequently. Heat until hot, but not boiling. In the western world we eat a diet high in wheat, dairy, sugar. These foods can cause acidity and inflammation in the body. Our diet is high in omega 6 and low in omega 3 which can lead to production of arachadonic acid and inflammatory pathways in the body. This can lead to chronic inflammatory conditions such as arthritis and heart disease. However we have the power to reduce inflammation and feel better by changing our diet. When we include anti-inflammatory foods in our diet, inflammation and pain can be eased. Furthermore your joints work more smoothly, cell membranes are held together and immune cells produces less histamine. Oily fish – is rich in omega 3 that stimulates anti-inflammatory pathways in the body, reducing inflammation. Oily fish rich in omega 3 include mackerel, sardines, salmon, anchovies and herring. Ginger – is a root herb that improves circulation in the fingers and toes. Also it can prevent nausea and reduce inflammation in the body. Turmeric -is a spice that can reduce inflammation. It decreases permeability in the blood-brain barrier to prevent brain inflammation and cognitive decline. Furthermore it fights cancer. Nuts & seeds – plant based sources of omega 3 include walnuts, flaxseed/linseed, chia seeds, hemp seeds and pumpkin seeds. Green leafy vegetables – are rich in minerals and alkalise the body, reducing acidosis and the associated inflammation. Also they are rich in vitamin C which acts as a natural anti-histamine to reduce inflammation. Extra virgin olive oil – contains the chemical oleocanthal that acts similarly to ibuprofen to reduce pain and inflammation. Garlic – this potent herb can help to reduce joint swelling. Green tea – is rich in polyphenol antioxidants and helps to reduce inflammation. Blueberries – are rich in the antioxidant quercetin that protects the body from oxidant stress, reducing inflammation. Pineapple – contains the digestive enzyme bromelain. Bromelain helps to regulate the immune system and prevent unwanted inflammation. Finally if you would like more information about how to reduce pain and inflammation, contact Kate on 07652 868342 or info@kateoriordan.com. You can receive personalised advice including a nutrition plan and supplement plan.